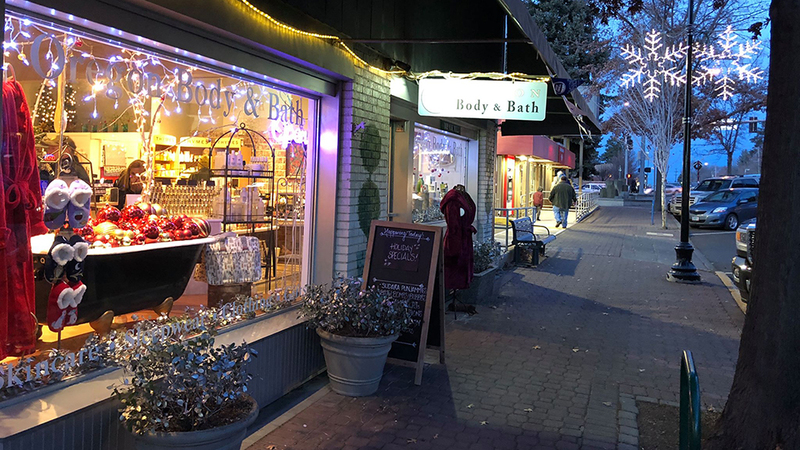 Oregon Bath & Body has been a fixture in downtown Bend since 1992 and was inspired by two women who, after happily bumping, scraping, wind-burning, sun-kissing, and frost-nipping their skin in the great outdoors, wanted to “make life a little softer”. If you are of a similar mindset, your skin will thank you for making a trip into Oregon Bath & Body. This little haven offers every lotion and potion you could possibly want and specializes in skin treats made in Oregon; many right here in Bend. Treat yourself, or someone special, to deeply hydrating lotions, locally made soaps, shea butter bath bombs and body butters to quench your skin; fragrant candles, home scents, and diffusers to welcome you home, and the softest slippers, linens, pajamas, and robes to ease you into the sweetest of dreams. Featured lines include local favorites DANI Naturals, Angelina Skin Care, Lava Love, and Sudara, along with national brands like Thymes, Sonoma Lavender, Naked Bee, and Barr-co. Explore the store Monday – Saturday from 10:00 a.m. – 5:30 p.m. and Sunday from 11:00 a.m. – 3:00 p.m., or visit them online whenever you wish.